Tecnorent receives praise and congratulations for the spectacular installation at the Hotel Dolce Sitges, in which almost 200 LED modules were assembled. Last week, the event of a large multinational took place, held in prestigious Hotel Dolce Sitges, within a privileged environment, surrounded by mountains and overlooking the sea. In a record time and with impeccable precision, our technicians assembled the four rooms that integrated the act, following at all times the guidelines and the schedule marked by our client. 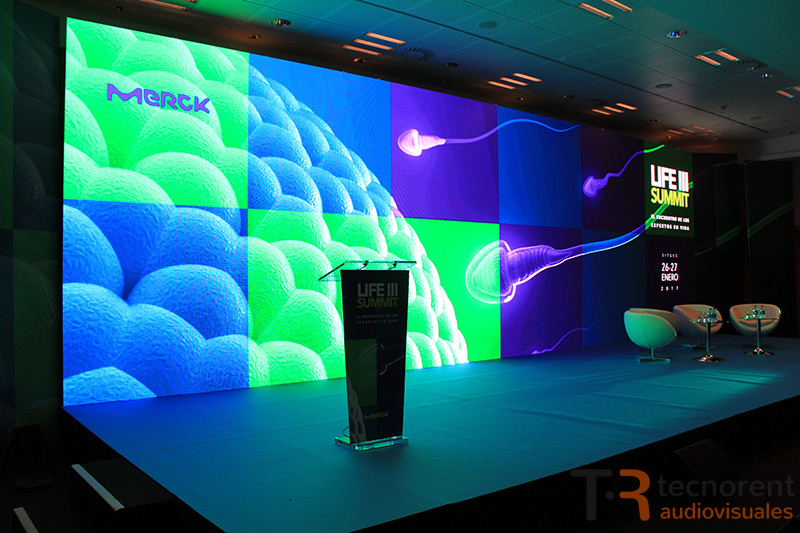 To begin with, and as a main element, we should highlight the spectacular LED display, 11 x 3.5 meters and 3.9 pixels, with stunning images of vivid and bright colors, of exceptional quality, which offered and allowed to enjoy an Excellent insight to all attendees, regardless of their location within the room. Between the main room and the 3 breakouts, we assembled a total of 195 LED modules, all commanded by a video electronics Christie Spyder X20. 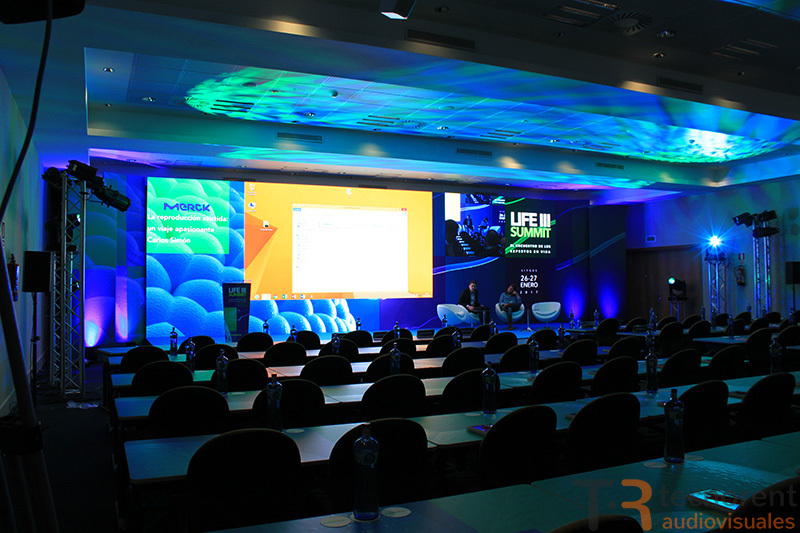 As a complement to our large-format LED display, we made a careful design of the lighting, which included several Mac Viper mobile heads, to achieve the best effect, projecting simulated background in the ceiling, obtaining a magnificent setting. And to complete a sound equipment, as always of the best quality, 5,000 W of sound, digital microphone Shure QLX of last generation, etc. Without a doubt, the ideal complement to our magnificent screen. 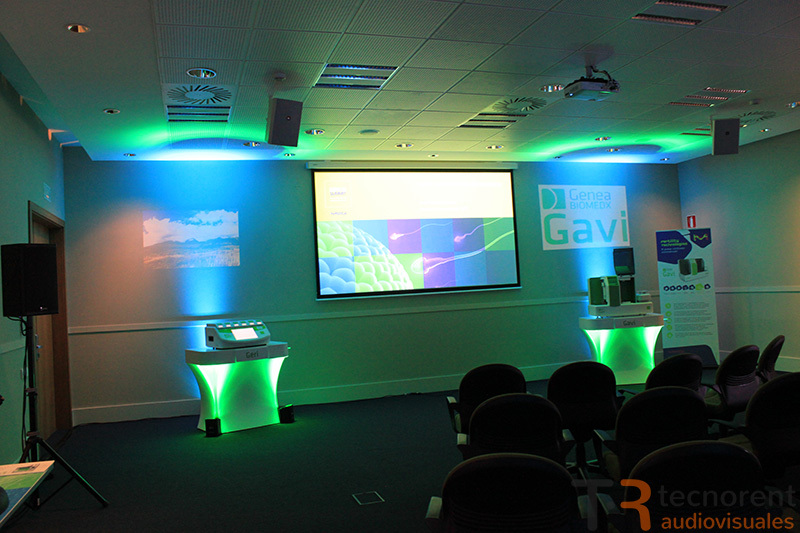 For the decoration of the stage, we opted for an elegant blue carpet, along with our modern custom-made methacrylate lectern and some nice side panels designed for the occasion. Finally, the assembly offered a spectacular set at the height of an event of this magnitude, receiving congratulations from the organizers, the customers and the different teams involved by the enormous deployment of technical means. 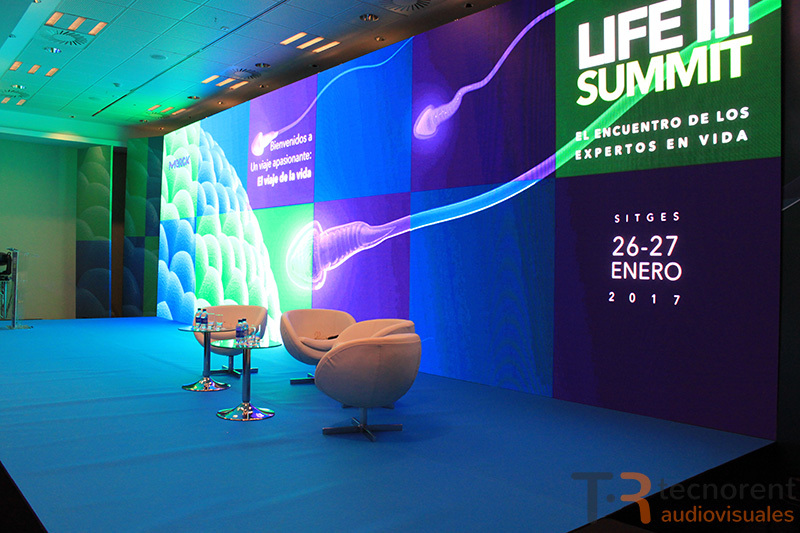 We wish to extend our congratulations to all our sales and technical team, and in general, to all human capital of Tecnorent Audiovisuales, which have made possible, and have made the event a resounding success. Once again Tecnorent meets the expectations and with the confidence placed in our company, in order to continue to lend excellence.